You can’t be with your bike at all times. Therefore, you’ll have to leave it unattended once and a while. That doesn’t mean you can’t take precautions to protect it. Read on for some info on the different type and style of bicycle locks and other tips to ensure your bike’s safety. Not all situations require the same level of security. Also, there isn’t a lock in existence that a motivated person can’t get through. Therefore, there are many different types of locks for different situations. Picking the right lock should dissuade a potential thief from even trying to take your bike. The strongest bike locks are U-locks. 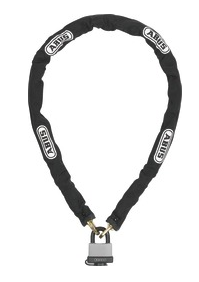 They consist of a steel bar, bent in a ‘U’ shape, that fits into a straight locking mechanism. These locks are also resistant to bolt cutters and hacksaws, and a potential thief would need a lot of uninterrupted time and loud tools to get through one. Many U-locks offer an insurance program where the lock manufacturer will pay you to replace your bike if it is stolen. All you have to do is register your bike. Chain locks are also popular. While some chains can be cut with bolt cutters, some versions rival the strongest U-locks in durability. Chains use hardened steel links and padlocks to keep your bike secure and offer a lot of flexibility in what you can lock your bike to. Look for versions that have some sort of covering over the chain (either rubber or fabric), because it goes a long way in protecting the finish of your bicycle. The least secure lock is a cable lock. 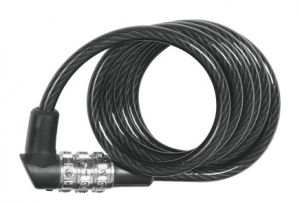 Cable locks use steel cables with built-in key or combination mechanisms to secure your bike. 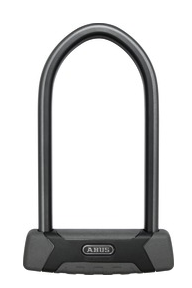 These locks are great for stopping someone from grabbing your bike and running off with it. But if a thief is prepared and motivated, they can cut through these locks in a few seconds. However, cables do offer the greatest flexibility in what you can lock your bike to. 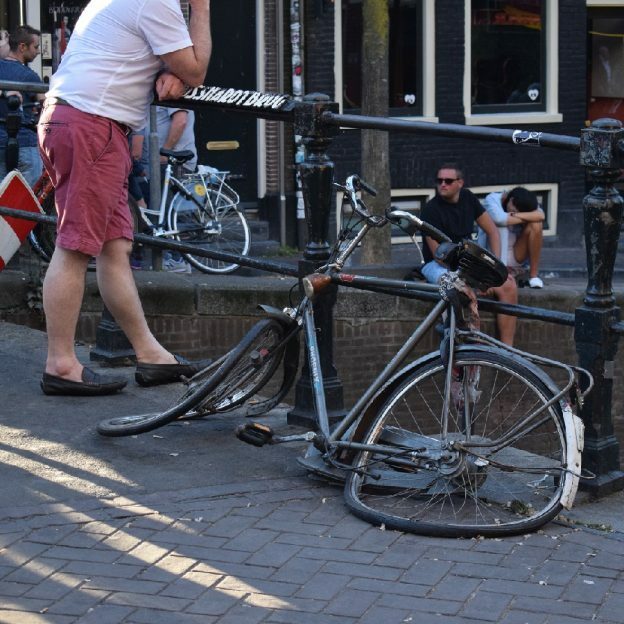 First and foremost: Lock your bike in a secure location. The ideal location is in plain sight with a lot of traffic. The more conspicuous a thief needs to be stealing your bike, the lower the chance is of them trying to take it. And always remember to lock your bike to something secure. For example, a parking meter might look secure, but if an industrious thief has removed the hardware that secures the meter to the post, they can quickly slide your bicycle and lock up the post and be on their way. So search for immovable objects like a bike rack that’s bolted to the ground. This bike rack was cut and taped back together by a bike thief. Be sure what you lock to is secure. Bikes are built with quick-release wheels and seats. It’s fine to lock the frame, but a thief might just take a front or rear wheel if available. If you are using a cable or chain, lace it through both wheels, the frame, and whatever you’re locking the bike to. If you’re using a U-lock, then remove the front wheel and place it next to the rear wheel. Then capture both wheels and the frame when you lock it up. Many manufacturers make component-specific locks that secure your wheels or seat to the bicycle frame. If you follow these tips then you’ll be on your way to making sure your bike isn’t stolen, and it’ll be one less thing for you to worry about. 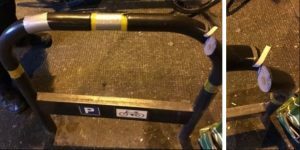 This entry was posted in News and tagged ABUS, bike, bike lock, bike locking, bike security, bike storage, bike theft prevention, bike theif, how to lock your bike, kryptonite, master lock, s bike parking, safe bike on March 23, 2019 by John Brown.